Servo has been a Key Solutions for Applications demanding high accurate and fast positioning closed loop feedback systems. What makes Servo so special? What is there in Servo Motors which cant be done by AC Induction Motors? We will see in this post the functioning of servo motor. 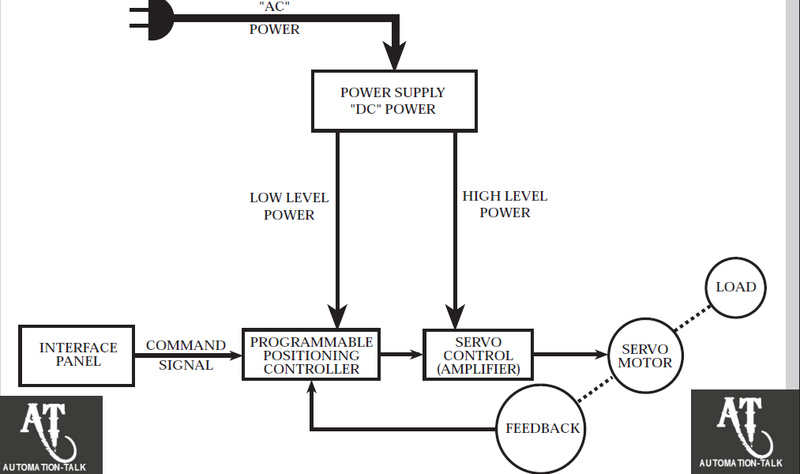 Servo Controller has made possible to reduce the transient response time along with reducing the steady state errors. Better the Transient response time the more is the System bandwidth and thus allowing for faster response and better machine throughput. Less Steady state errors directly indicates for better accuracy. Below you can see the basic block diagram of servo-mechanism. AC power supplied to Servo System is divided in to two levels as Low and High Level internally by controller electronics section. The low level power is given to Servo Amplifier , which in turn amplifies or increases this signal for motion of servo motor or load. The low level signals must be amplified as higher voltage is required to rotate the Servo Motor at higher speeds and more current is required for Heavier loads demanding more torque. 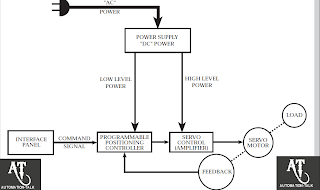 As we know that Servo System is closed loop System , so when Servo Motor Moves , encoder attached with it also moves and the feedback is received by Controller/Servo Amplifier. The Servo Controller then looks at this Feedback by Encoder to decide whether the Load is moving properly or not. Suppose for example a command is issued for 5000mm movement of Load and feedback is received for only 4500mm , so controller will issue a command for another 500mm movement. So this is closed loop system and process continues on. The controller always monitors the Command Signal Issued and the Feedback Signal , they both have t be matched for 100 percent accuracy and zero error. The Command Signal and feedback Signal are compared regularly and corrections are made. So servo is not a single device rather it is a collection of several devices. We will be discussing more about servo basics and facts , till then you can subscribe to get all updates directly to your mail-box. Subscribe to Automation-Talk by Email.